NOOSA Council has voted to call for expressions of interest to use the upper storey of the Peregian Beach lifesaving clubhouse. Cr Ingrid Jackson's bid to defer the vote and obtain legal advice to see if any other uses other than lifesaving activities would be permitted was rejected 5-2. The council then voted 6-1 to back Mayor Tony Wellington's motion for the EOI process, which does not commit the council to accepting any of the likely use bids that would be non-commercial and rule out any bar or gaming machine uses. Cr Jackson said she had spoken to the head of Surf Life Saving Queensland who had assured her that there was no intention to install poker machines in this building. Deputy Mayor Frank Wilkie said during the deferment debate council staff had received advice from the landowner, the Department of Resources and Mines, that this process could take place. "We're not jumping to any conclusion here about who would be awarded the permit in the end,” Cr Wilkie. Cr Jess Glasgow, who voted in favour of the deferment, said he would rather see nothing more on this top storey of the surf club "other than a lifesaving type business” which in other clubs includes bars and pokies. Cr Wellington said any expression of interest bids had to align with the gazetted purpose of lifesaving activities. 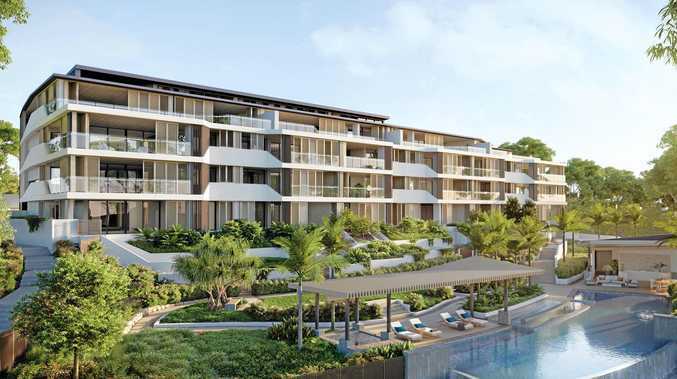 Sunshine Coast Branch of SLSQ will now be invited by the council to lodge an EOI. "We know that their position will be that they believe that in order to progress an opportunity for a locally based Peregian-based surf lifesaving club, they believe the best opportunity for that is for them to control the whole building,” the mayor said. He said this would then be compared with other community groups that may lodge EOIs, to achieve the best community benefit for the use of the building. "Council's desire, and it is our desire along with SLSQ's, is to see a Peregian-based local surf club arise and that takes some time,” Cr Wellington said. The mayor acknowledge "the significant work that Noosa Heads Surf Life Saving Club has put in over the last five years” to maintain lifesaving services there and reviving the nippers program as well as putting in significant money into the building. Cr Jackson said she found it "quite astounding” people talking of their commitment to the Peregian Beach surf lifesaving, then turning around and supporting an EOI to see if other people will take over the upper storey. Cr Jackson said SLSQ's preferred position remained what was agreed with council last year, to work towards a longer term lease for the club's sustainability. A DECISION to call for expressions of interest for the upstairs use of Peregian lifesaving clubhouse has widened the rift between local rival factions. Peregian Family and Friends Association members are appalled by the vote they fear threatens the rebuilding efforts of the nipper and lifesaving services in town, but the Peregian Beach Community Association has hailed this as a positive step forward. "We are concerned that none of the stakeholders who are currently using the building, including Peregian Surf Life Saving and Peregian Nippers, were consulted before the EOI process was launched,” Peregian Family and Friends president Kane Livingstone said. "We have also obtained legal advice which shows that the EOI process may be invalid if it awards the permit for the upstairs of the surf club to an organisation which does not comply with the gazetted use in the Land Act, which is for surf lifesaving purposes. "Our position is that the building was built by lifesavers for lifesaving. "The selection criteria for the EOI do not mention surf lifesaving, which we believe is one of several flaws in the process. 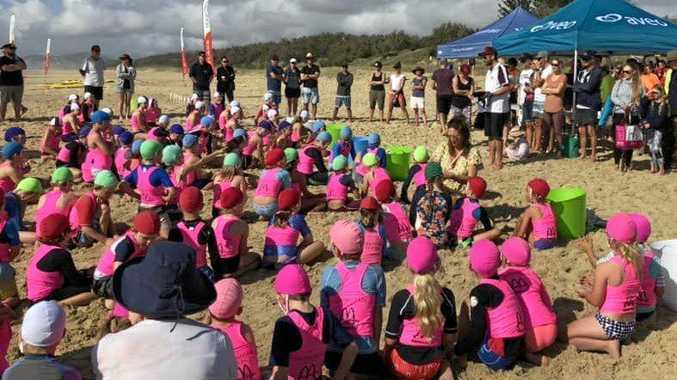 "Our organisation will not be putting in an EOI, because we believe the only group which should occupy any part of the surf club building is an affiliated surf lifesaving organisation,” the family and friends association's secretary Leigh McCready said. But PBCA president Barry Cotterell said locals applauded council's majority vote for "an open and transparent expression of interest process to re-activate the top floor of the building”. Mr Cotterell said the Noosa Heads Surf Club had five years to outline an acceptable management plan for the building but had failed to do so. "We now want to see who can come up with something better than the old-fashioned and divisive business model of a bistro with gambling that seems to have taken over our beach communities in Queensland.